The Amazon Fire Stick is a great little device, with a cheap price tag of $40. It’s by far the most popular device for Kodi, beating all other android boxes. Fire Sticks have always been the most popular option, due to how easy it is to install Kodi on it. In this post, we’re going to show you the Best Kodi Builds for Fire Stick. These builds all work with Kodi V17 Krypton too. Some other great features it comes with are a Voice powered remote, access to the Amazon Movie Library (if you’re a prime member), and the ability to install other apps such as YouTube and Netflix! 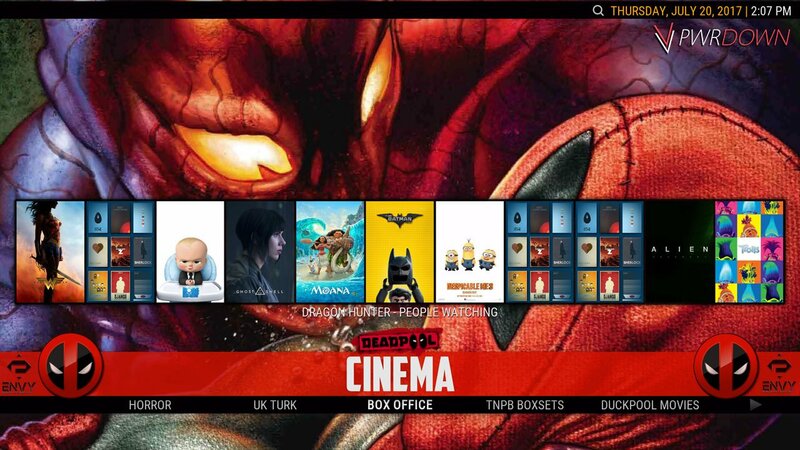 This post is being updates as new and better Kodi builds are looked at. 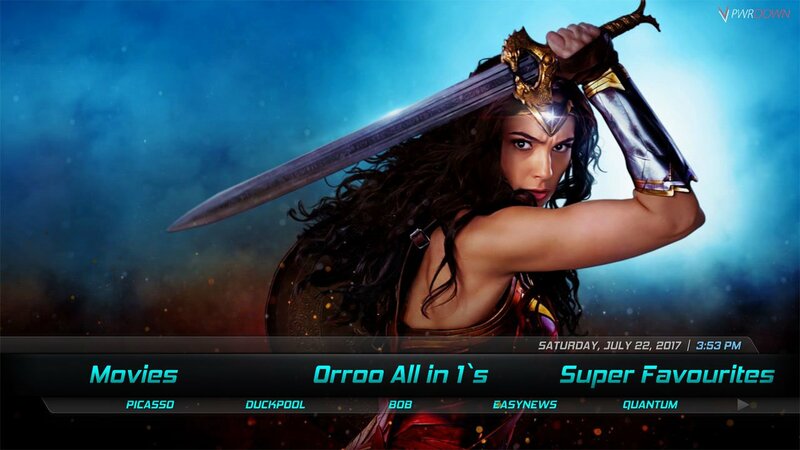 Orroo Build for Kodi is designed specifically for the Fire Stick. It uses the Aeon Nox Skin and comes with a lot of useful add-ons listed under an easy to use navigation menu. This Kodi build probably won’t run as quick as some others listed in this post however due to the large amount of add-ons that will be loaded. 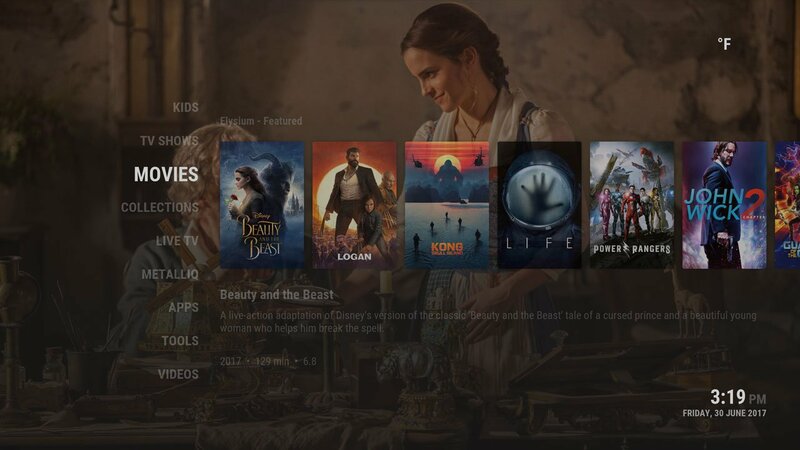 The Nemesis Kodi build is another one of the Best Kodi Builds for Fire Stick. It uses the Titan skin, is easy to navigate and isn’t bloated with a lot of random and unnecessary add-ons. What’s great about Nemesis is it’s very minimalist looking, so looks great on a TV. 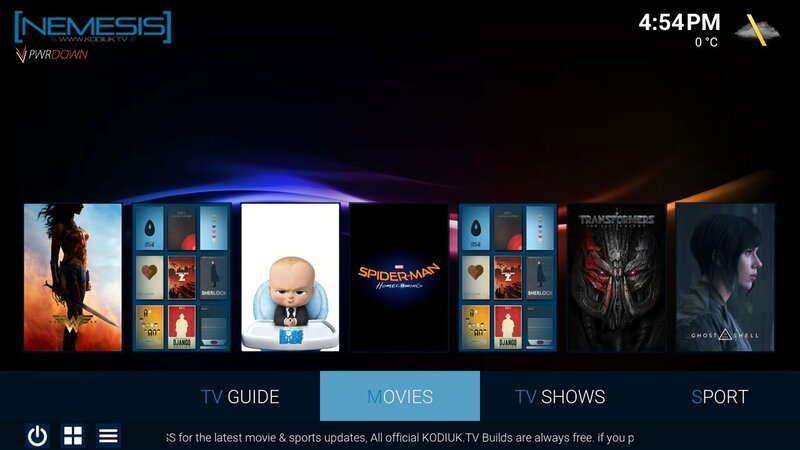 It’s hard not to include the Ultimate Exodus Build for Kodi. 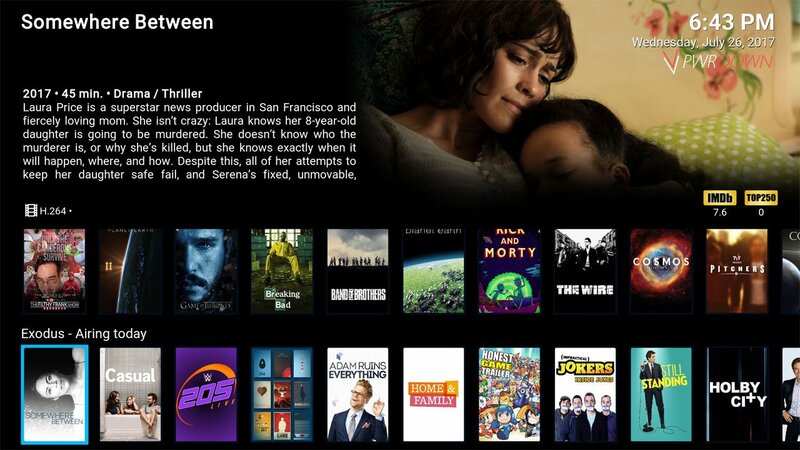 It’s the most Netflix like Kodi build available, hosting a massive home screen that provides content straight from the Exodus add-on in easy to browse categories. I think it’s one of the Best Kodi Builds for Fire Stick due to it not being bloated with add-ons and having a simple, lightweight design. I’ve chosen to include the Project X Kodi Build because it isn’t too demanding on resources, and it looks great. It uses a Deadpool theme making it look absolutely awesome on the big screen. It’s also easy to navigate and has all the important add-ons and features such as a spotlight. A good choice for your Fire Stick. The SchisM TV Kodi Build is a favourite of mine. It comes with so many different design options and features making it what I believe is the best Kodi Build for the Fire Stick. There are 6 different skins that you’re able to choose from, each giving a great and unique appearance compared to other Kodi Builds.